Two nights ago, when I was telling my version of Iron John, I began by saying, "Once." Suddenly, I was overcome by the possibilities of the word. I had to pause and even said to the gathered group, "For some reason, suddenly, the word 'once' is taking great root in my brain at this very moment." In my singular moment of the word "once" I thought of Hawaii teller Jeff Gere who tells a story about a king who wanted to know the essential nature of time. In that story, he sticks his head in a bowl of water and lives a lifetime before being snapped back into this world, nearly avoiding drowning. When I had that "once" moment on Monday night, I suddenly understood Jeff's story. Inside that moment of "once," I remembered all the stories that I have told. I remembered the possibilities of what "once" means. I thought that just that simple word can mean so much before and so much yet to come. I thought about the other times I have told Iron John, a story I developed for my work with adolescent boys. I recalled one of the first times I told the story and then debriefed with the boys after it. The kid who had the most to say in that conversation was one that everyone else thought of as a problem boy. "Problem boy" of course meant that his teachers said he did not sit still in class and as an adolescent was too big to try to control in a typical classroom. However, in this discussion of Iron John, he was all over and immersed in the story. He caught nuances that I had missed, found connections others could only shrug at. Amazing kid. I thought of my gig this weekend where I will be working with freshman boys (14-15 years old) who are working through a spiritual development process. I thought about how honored and lucky I am to not only use my storytelling as "business storytelling" but to be part of an opportunity to engage in a "touchstone" with 40+ young men and their leaders. I'll be telling them the whole version of Iron John. I looked at the people gathered to hear me tell my story. Many I knew well. I had to stop and say, "I can't tell you how much that one word, 'once,' just meant to me." For them, it was fleeting. For me it was a very long "once." I know that this is an ethereal post. But it is what happened to me. It is in these moments that I really remember what "once" drew me to this art form. It's who I am. A Fairy Tale for the Beaten, the Bored and the Board. Once upon a time, there was a young woman named Votary. Her mother had died and left her alone with her father and her younger sister. The father grew in love with another woman who also had two daughters just a bit older than Votary. The father married this new woman and they blended their families together to create a new family in the woman's house that was tucked away in the middle of nowhere. Votary was no slouch. After her mother had died, she learned many skills to the running and tending of a household. Because of this, she joined in happily with the new household and worked with her new step sisters under the directions of her new stepmother. They all lived together for a while in their very small house. “Silly young child,” replied the mother. We cannot move. There is so much history in this home, why would we want to be anywhere more convenient? Isn’t this enough? Now, hush, silly one, and go fetch some water. We’ll dry up without that water. By the way, have I mentioned to you that we seem to have a leak in the barrel? Please be sure to bring some extra water, too.” And with that, the mother smacked Votary on the behind with the broom. Votary tried to carry on. One day, while she was cleaning out the fireplace, she discovered a new way to complete the job. It was not only faster, but the results were a much cleaner fireplace. As she shared her idea with her step-mother, the mother replied, “Oh, so naive you are. I’ve had your sisters look at the problem. I had a meeting with them while you were off doing something else. They can’t find a single thing to change. As you know, they have been here since the house was built from the bones of dragons. You couldn’t possibly know more than them, they are so wise, being your elders and ancestors. But, if you like, you may have that little space outside, on the fringe of our land, to try out your new idea. Don’t make too much noise and remember to always be a lady. Run along, so that I and my daughters may talk about the past.” And with that, the mother smacked Votary on the head with a piece of kindling from the fireplace. Votary was sad and sat outside on a tree stump. One of her step-sisters came to her and placed an arm around her shoulders. “Dear,” she said, “ do not worry about the needs of the fireplace. I do think your idea is wonderful, but my sister has been cleaning out the fireplace for so long that there is no way we could possibly let you make that change. Here, have some sweet chocolate. You’ll feel better I am sure.” With that, the older sister patted Votary on the head and walked away, leaving the chocolate bar on the stump. Votary picked up the chocolate and took a bite. Ouch! And with that, she cut her tongue on a sliver of ground glass inside the chocolate. The next day, as Votary carried one of her buckets of water to the house, she dropped it! It fell to the ground, spilling the precious water everywhere. Votary carried the bucket to the house and asked her step-mother if she knew how to fix the bucket. “Yes, of course I do. Someone long ago wrote down the instructions and I have them here in the house, in the magic box in my bedroom.” replied the mother. “Oh, what a happy day! May I read the instructions so that I may repair the bucket?” asked the broken-bucket girl. The step-mother replied, “Of course you can. You must first bring me another 25 buckets of water and you must clean out the sink twice a day. Once you have done that I will let you have access to that page of the magic book. If you’d like to read anything else, you’ll need to bring in more water.” And with that, the older woman poked Votary right in the eyes with her fingers. Votary, however, was able to find the instructions she needed at a neighbor’s house and she did not need to bring any extra water at all. When she told the step-mother of this, the step-mother changed the requirements to only 5 buckets of water and the cleaning of the bird cage. Votary rarely read from the magic box. The next day, Votary’s step-sisters could be heard clapping and cheering. As Votary stepped outside, she saw that her young twelve-year-old sister was carrying a small bucket of water from the river to the house. The older sisters cheered at the youngest sister, shouting encouragement and suggestions. Each day this repeated, each day the little sister becoming better at carrying her bucket of water. However, one day, the little sister dropped the bucket and yelled out, “Damn!” The older step-sisters were shocked. The youngest sister looked at them and said, “I am sorry, I was distracted. I met a boy down by the river and we spent the afternoon together....” Votary was captured by the words her sister spoke, finding joy in her sister’s new discoveries of life. “EEEK!” cried the step-sisters. “Stop! Do not talk like that! What happened to the cute little girl?” they asked in unison. And with that they cast a magic spell together which caused the littlest sister to fly up in the air and land in a locked tower far away. The sisters cast such a powerful “evasion spell” that the little sister would not be able to come out of the tower for eighteen more years. When the sisters cast the spell, sparks flew from their fingers. And with that, Votary was struck in the face with fire which left scars upon her visage. Votary’s father, who was often away, caught up with her the next day. “My dear child! My wife and her daughters tell me of your sour nature. They say you have burns upon your face, bloodshot eyes, a vicious tongue, disheveled hair and dust upon your backside. I must insist that you have more decorum. Don’t you know that these relationships take time? Isn’t your new family full of nice people? Please be polite and clean up your act.” He quickly jumped on his horse. His horse then reared up and galloped away. And with that, he left Votary in a cloud of choking dust. Votary took the words of her father to heart. She returned to the home and worked as she was told. She developed an idea to cook their dinners faster and easier. She was told that meals could only be made one way and any other method would not create real food. Her step-mother threw the cold meat at Votary, hitting her squarely and painfully in the back. 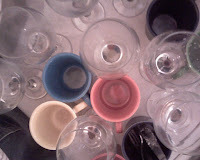 The very next day there was a grand party in the neighborhood. Her step-laws created fine foods for the party using the very methods Votary had suggested. “Look everyone! Look at our new meats and cheeses! Enjoy the fruits of our labor!” When Votary picked up the meat, the searing juices burned her fingers. At last, with her sister locked away, her body burned and battered, her contributions denied, her labor increasing, Votary could take it no more. She packed her bags and set out from the house. Votary walked on from her house tucked away in the middle of nowhere. The step-family and even her father have provided the moral of the story: Votary is a witless, selfish oaf. She should stay where she is loved by the elders who hit her. Maybe if she just tried harder they wouldn’t have a reason to hurt her. She is a self-centered, angry, blood sucker whose motives are unclear. Maybe once she is 50 she’ll understand that she got hurt because they loved her so much. ...or maybe they are wrong. 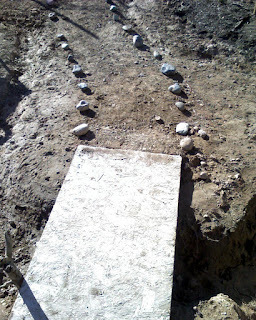 I am having great fun updating and composing my storytelling daily picture blog at http://www.2008pics.com. If you haven't surfed there yet, please do. Woo hoo! In 2008, I will have been a storyteller for 22 years. I actually have press clippings back even further to 29 years ago. Storyteller.net is currently celebrating its 10th year of service. In those years, I’ve watched storytelling grow and change. There are many things to celebrate. There is also tremendous room for growth, growth that our art form desperately needs. Many years ago, when storytelling was much younger and even more “boutique” than it is today, I wrote an article about resolutions for storytellers for our then very new, very on-the-edge Storyteller.net. You can read it at Storyteller.net. In those years since, storytelling has changed. Or at least it should have. There are more tellers than ten years ago. There are more of these tellers calling themselves professional. There are more people who want to become professional storytellers. We’re seeing a glut of “boomers” who are leaving their previous careers and jumping into storytelling. At least weekly, someone writes me at Storyteller.net to ask, “How do I become a professional storyteller?” Some of these new folks are making a smooth transition. Most are not. All of these Emails and coaching over the last decade have given me a unique overview of storytelling. Coupled with another decade of workaday storytelling, I see a broad picture of what storytelling is in today's world. For this article, I am speaking to those who are trying to make any portion of their income through the art of storytelling. Although some of these items I’m listing below apply for those who might be using storytelling as an adjunct to their primary career or to the hobbyist, many of these are laser-focused for the working tellers. 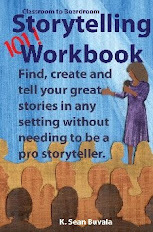 For this new year, here’s my updated list the blocks for professional storytellers. Take what you need from it. Leave the rest behind. 1. You aren’t finding your niche. Your work does not stand out from any other teller. 2. 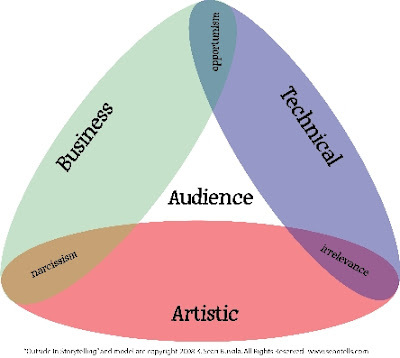 You are not balancing the three circles of storytelling: business, artistry, technical. 3. You are talking to the same people over and over again who are talking about the same subjects over and over again. 4. You rarely seek out coaching and when you do, it’s solely the “nurturing” type. 5. You are still not using the Internet. 6. You are not investing your money into your professional development, i.e. your business. 7. You are waiting for what is a very small portion of the storytelling world to acknowledge you. 8. You have let storytelling become your spirituality. 9. You haven’t learned the difference between being an actor, a speaker and a storyteller. 10. Especially for U.S. and Canadian tellers, you are telling too many disconnected and without-context personal stories. It's a brand new Podcast at Storyteller.net! You can use the link below to hear our latest. Features storyteller K. Sean Buvala telling the Grimm tale of "The Willful Child" as well as providing a coaching moment on "finding your niche". The coaching moment comes from an interview that Sean did with the "Art of Storytelling With Children" podcast. Also on this January 2008 podcast is Kindra McGrane of Arizona telling her lively, fun personal tale of "The Bargain Shopper" recorded live at one of our http://www.storytellingatborders.com/ events. Come and enjoy. Find all our past podcasts at this link now. Use this link to hear the January 2008 podcast now in mp3. The "Outside In Storytelling" model and approach, developed by K. Sean Buvala, is based upon one of the unique qualities of storytelling, that is, storytelling is an audience-centered art form unlike any other. To use storytelling in any modern public presentation, the needs of the audience must be the primary focus for the storyteller. For the publically presenting storyteller, there are three areas of focus that must be balanced around this outside reality of the needs of the audience. These three areas are: artistic excellence, technical (stage/performing) excellence, and business excellence. Business excellence does not always mean a direct money-paid environment. One can be a teller in a library, for example, who has storytelling as an adjunct to their primary occupation and still require the business excellence subskill of ethical behavior. When any single portion of the model is removed, the entire storytelling experience collapses on itself. When any two areas receive more focus than the third area, shadow corners develop in the work and mind of the storyteller. These shadow areas are opportunism, narcissism and irrelevance. For example, a storyteller who may be deeply moved by their own story and presents themselves as a purveyor of that story to an audience yet does not master a strong, understandable technique of telling the story is engaging in the shadow corner of narcissism. In this corner, artistic integrity overrides the need of the audience to see an effectively presented story. "You must pay me (listen to me) for my story because I am an 'artiste' who understands things you can not." We have so much more coming in this discussion. We hope you come along for the ride and maybe even take the wheel for a bit. The "Outside In Storytelling" process, presentations, development and visual model are copyright 2007, 2008 by K. Sean Buvala. All Rights Reserved. Do not duplicate this work without permission. On finances: No, it doesn't work out. I lose hundreds of dollars a month on that site along with storytellingproducts.com. That's okay. Storyteller.net moves the art form forward for the future. I am planting seeds of trees under whose shade I will not sit. There are days that I wish I could move on, add the "Former Executive Director of the National Storyteller.net Organization" to my CV...but my heart would be broken and I would be not fulfulling my mission in life. When tellers get business from our directory (and they do!) and a new audience hears storytelling, then I know I am where I belong. On Audio: When we started, we were the only ones really doing this. We got UNBELIEVABLE grief about it, too. Long, strong-worded Emails about how this would ruin storytelling and how all these stories would be stolen. I wish I had saved those letters. So, storytellers cowered in fear, hoarding their stories while the world passed us all by and now thinks we are all just quaint little folk artists. Oh, how precious each of us are with our 900 CDs in our collective closets. NB: Syd puts his whole catalog of audio online and the storytelling world was astounded that storytellers could do such a thing. "Have you heard of this Innerneht thingy-do?" Okay, well, you and me first were astounded and then some 300 people at the NSN conference for at least 15 minutes. But then the wind shifted and we had to have some story-circles. "Let me tell you how my storytelling makes me feel." On content: Yes, Storyteller.net is a "everybody in the pool" sort of project. Some brilliance. Some meh. Tons in between. I am honored to have brought so many voices into the conversation. On cutting edge: Oh, 2008 is finally here. It's coming. Again. On The Storytelling Journey. Happy 2008!